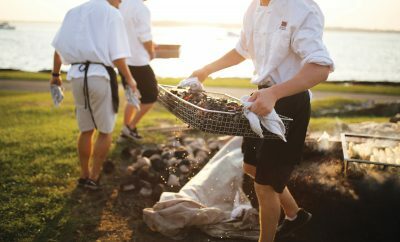 Originally published in the August issue of Newport Life Magazine. 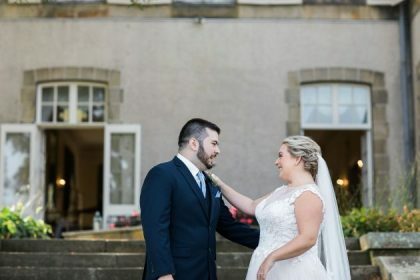 Caitlin worked in the food industry during school and is familiar with many of the area’s venues, but Glen Manor House was something different altogether. Caitlin attended school at the former Elmhurst Elementary School nearby. 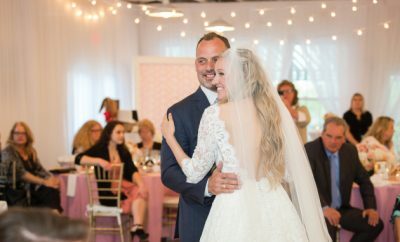 Glen Manor also was the venue of her first father-daughter dance, and Caitlin’s friendship with the manor’s caretaker meant she knew her own wedding would be special. 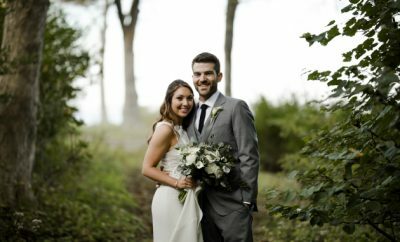 The couple wanted to make their day personal, and for them that meant including as many loved ones as possible. 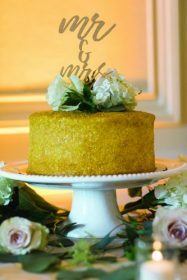 Close friends created their invitations and floral arrangements, the bride’s father crafted the laser cut table numbers for the reception, a family friend officiated the ceremony and Caitlin was friends with many of the vendors. 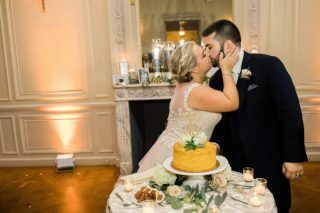 The rest of their vendors were local and Caitlin says they felt like family by the end of the process, which meant their wedding was an intimate party. 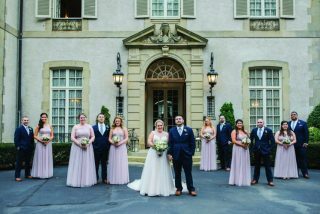 Caitlin opted for soft, romantic neutrals to avoid competing with Glen Manor’s beauty. Her bridesmaids wore a muted lavender, and they all carried bouquets made from white and blush flowers and greens. The groom and his party wore navy suits and chambray ties with similar boutonnieres. 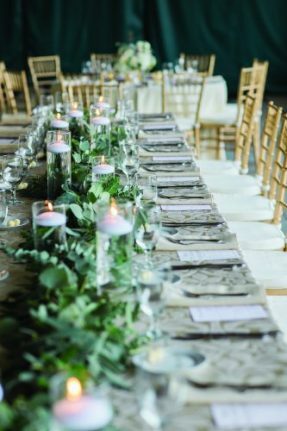 At the reception, the head table was decorated with a garland of greens, loose flowers, and floating candles, and guests were welcomed to “I Spy” with their cameras to capture candid moments. After exchanging handwritten vows and dancing the night away, the couple honeymooned in Aruba. They returned home to Warren: Caitlin teaches 6th grade science at Gaudet Middle School and Keith handles accounts receivable at The Fogarty Center.